Hold the Balance Bar above your head as if you are hanging on it. 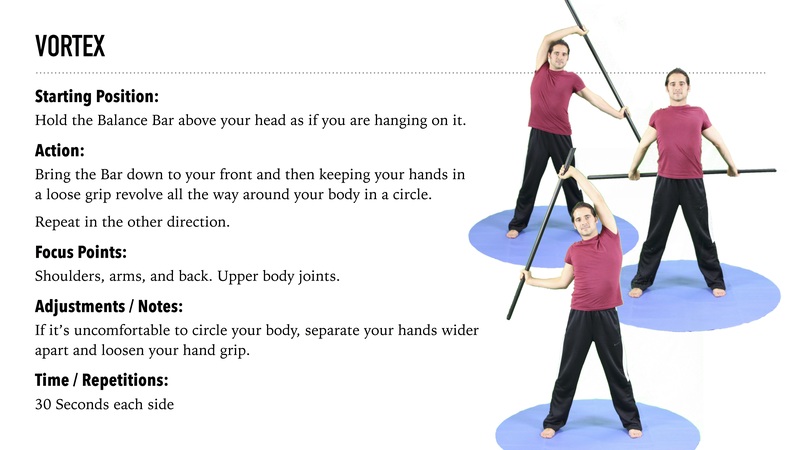 Bring the Bar down to your front and then keeping your hands in a loose grip revolve all the way around your body in a circle. Repeat in the other direction. Shoulders, arms, and back. Upper body joints. If it’s uncomfortable to circle your body, separate your hands wider apart and loosen your hand grip.